Ethniche has good quality cotton wear and Indian-style accessories which are great for day-to-day use. If you like the flowy outfits Anokhi is so famous for, you’ll definitely love this store's collection. 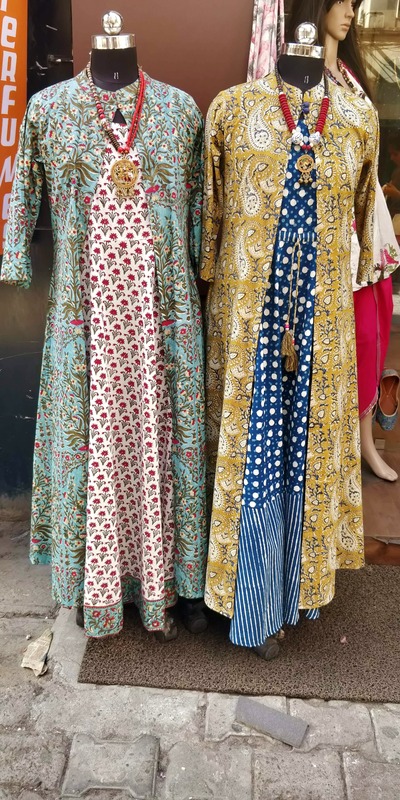 Their stuff is elegant, comfortable and all hand-block printed. While most of it consists of kurtas and kurta-jacket sets, they’ve also got breathable dresses, tops and crop tops. Don’t forget to check out the juttis. They're absolutely gorgeous and very well-cushioned. Each pair costs INR 1,499. They rotate their collection every week. So, you’ll always have something new to look forward to. They had some basic party wear too, but TBH that didn’t stand out to me as much as their daily wear collection did.